Whenever the Tibetan leadership talks about the exile democracy, they almost invariably describe it as ‘yang dak pai mang tsoi lam lug’ or ‘the impeccably perfect democratic system.’ Yet, there is not enough evidence to indicate how it is ‘perfect’ or in what ways the Tibetan democracy is superior to democratic systems being practiced in nations such as India and the U.S. Some, including former prime minister Samdhong Rinpoche, have mentioned the ‘uniqueness’ of ‘choesi zung drel’ or the combination of religion and politics as the Tibetan system’s defining character. However, achieving “separation of church and state” is usually considered a mark of a mature democracy. And we fail to see the positive aspects of the Tibetan system’s combination of church and state, especially when it comes to elements such as the grant of two votes in the Parliament for monks. Furthermore, as evidenced from earlier elections, a main drawback of the exile democracy has been the dearth of candidates, especially to the top executive position. During elections for Kalon Tripa in 2001 and 2006, there were only two candidates and one of them decided to be in the race so that the election would not be voided (rules then made the election null and void if there are less than two candidates; the rule has since been changed). The election in 2011 was a little better with three candidates for the final stage. The 2016 election is markedly different. The Tibetan democracy has indeed come a long way. There are five Prime Minister (Sikyong) candidates and perhaps hundreds vying to be members of the Tibetan Parliament-in-Exile (TPIE). For example, there are as many ten candidates for one seat in parliament for Australasia (i.e. Australia plus Asia, excluding India, Nepal and Bhutan). Here are the five Sikyong candidates, in alphabetical order. Lukar Jam was born to a nomadic family in eastern Tibet. In 1989, he escaped into exile to join the Special Frontier Force (SFF) in India. However, when Lukar saw a Sikh recruitment officer at the recruitment test rather than a Tibetan officer, he did not join. Instead, he went back to his homeland carrying copies of the H.H. Dalai Lama's My Land and My People and a videotape of a speech His Holiness made when He accepted the Nobel Peace Prize in 1989. Back in Tibet, he formed an underground group called Dokham Shonnu Shithup Tsokpa or the Warriors’ Association of Youth from Eastern Tibet. He was eventually arrested along with about 20 of his associates and was sentenced to 18-years in prison by the Chinese authorities without a trial. After five years of imprisonment and torture, he was released on medical parole and he escaped into exile. He worked for the CTA’s Department of Security, and later served as vice-president (and currently president) of the Gu-Chu-Sum, the ex-political prisoners’ organization. Lukar Jam is a quintessential straight-talking activist-writer who does not mince his words. He is the only candidate who stands for Tibet’s independence (Rangzen) from Chinese occupation and has provided, in his public speeches, fairly detailed plans in the event he wins the Sikyong election. Similarly, he is the candidate with the biography that is perhaps best positioned to link Tibetans inside Tibet and in exile. “If I get elected the first thing that I would do is to change the name [of the exile administration in Tibetan] back to Tsenjol-Bodshung [Tibetan Government-in-Exile]…” he stated. However, the name change was adopted in the TPIE with due legislative process, and the Sikyong has no power to unilaterally change the name. What he can do is to suggest a bill to the TPIE to change the name. Similarly, in order to change the Middle Way Approach (Umey Lam) of the Central Tibetan Administration (CTA), it would require a majority vote in the TPIE. The Office of Sikyong cannot unilaterally change the Middle Way Approach (although the Sikyong can re-define it, as Lobsang Sangay did in 2013 – see below). Lobsang Sangay, the incumbent Sikyong, grew up in a small refugee settlement located in northeast India. After his higher studies in Delhi University, he went to Harvard Law School where he subsequently obtained his S.J.D. His dissertation was entitled Democracy in Distress: Is Exile Polity a Remedy? A Case Study of Tibet's Government in Exile. In 2011, Sangay, who was then a Fellow at the East Asian Legal Studies Program at Harvard Law School, became the first democratically-elected Sikyong or the political leader of the CTA and the political successor to the Dalai Lama after His Holiness’ devolution of political powers. Sangay’s administration has since been operating based on his three stated principles of Unity, Innovation and Self-reliance. On 12 August, Sangay issued a long-awaited announcement stating his desire to run for the second term and his supporters widely distributed ten achievements of his administration. Sangay has, however, made no fresh proposals of what he intends to do if re-elected. In the last five years there have been achievements deserving mention such as the historic Tibetan Rehabilitation Policy Act 2014 passed by Government of India, which will have wide ranging positive impacts on refugees in the subcontinent. Likewise the Government of India lengthened the validity period of Tibetan residency cards. In both of these developments, Sangay’s administration played a role, building on the efforts under his predecessor Samdhong Rinpoche. His administration also initiated the Tibet Corps, a program for Tibetans to volunteer their talents in public service with the Central Tibetan Administration. Sangay’s focus on education has seen increased scholarship benefiting hundreds of Tibetan students. At the same time, under his administration certain branches of the Central School for Tibetans and Tibetan Children’s Village had their licenses cancelled by the Indian Government, and thereby barred from receiving foreign funds. There has been wide recognition for his high profile particularly from inside Tibet as seen from numerous songs and poems composed in his name, and images said to have been produced in Tibet. 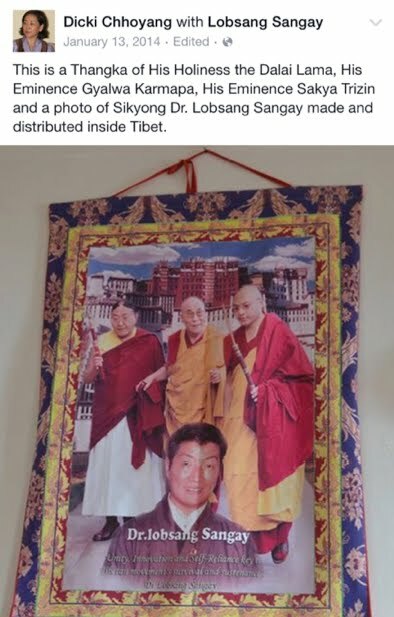 In one example, the Sikyong’s Facebook page celebrated a thangka (religious painting) said to have been produced in Tibet, with the Sikyong’s portrait with that of His Holiness, the Sakya Trizin, and the Gyalwang Karmapa. This thangka also had Sangay’s election motto printed on it, in English. In his re-election announcement Sangay states, “I have not left any stone unturned in my effort to fulfill my obligations.” This may not be entirely true. His administration’s handling of the fiasco following 10th March 2015 in New York (where Umey Lam supporters attempted to expel Rangzen supporters from the March 10 rally) left much to be desired from an administration that claimed Unity as one of its guiding principles. The decision by the Office of Tibet (North America), which basically ratified the actions of Umey Lam supporters, set a terrible precedent for the future and could have a deep impact on unity and collective strength for Tibet’s struggle for freedom. Likewise the Sangay administration’s role in the in the Radio Free Asia debacle caused serious criticism from a senior Republican member of the U.S. Congress. And Sangay’s lack of financial transparency and attempt to deny links to a problematic Washington lobbyist has caused unnecessary damage to the Tibetan government-in-exile’s image. Perhaps most significantly, there has been no progress in talks with China to resolve the Tibet issue apart from a few statements of support for the Middle Way Approach from foreign dignitaries and some Chinese intellectuals. This despite Sangay’s definition of the Middle Way to mean giving up the goal of democracy, and accepting Communist Party rule and unlimited Chinese militarization of the entire plateau. Having conceded so much, it is unclear what cards Sangay has left to play to get China to the negotiation table during another five-year term. Topgyal was born to a nomadic family in Ladakh, North India. He was a shepherd until he was sixteen and later joined India’s Special Frontier Force. Currently, he is a businessman based in Shillong, the capital of Meghalaya in northeast India. During his announcement for Sikyong, Topgyal said that he is running for Sikyong to represent U-Tsang Province, which has the largest population in exile, so that "it is not inauspicious" [tendrel ma chuk pa]'”. Of course, basing a candidacy explicitly on representing U-Tsang could be said to be “indulging in provincialism,” which is forbidden by the new rules set out by the Election Commission. This is another example of how the Election Commission’s vague rules and inconsistent enforcement are a problem in this election. His economic plans for exile Tibetans are to find ways [especially for nurses and professionals] to travel to countries such as Canada for work, and to avoid paying income taxes in India. Topgyal claims to have the knowledge and wherewithal to achieve these goals. However, since his announcement for Sikyong candidacy on 20 August, Topgyal has not made any public appearance or laid out his campaign strategies. This makes us wonder if he is serious about his run for the highest post in the CTA. Or is it that Topgyal is working on other endeavors, e.g. to “make even more efforts to have more fresh faces in the parliament with hope that there will be changes in politics,” as he said during his announcement. Tsering has the most political experience of all the candidates, having been a member of the exile parliament from Amdo province for nearly two decades, including the last six years as Speaker of Parliament. 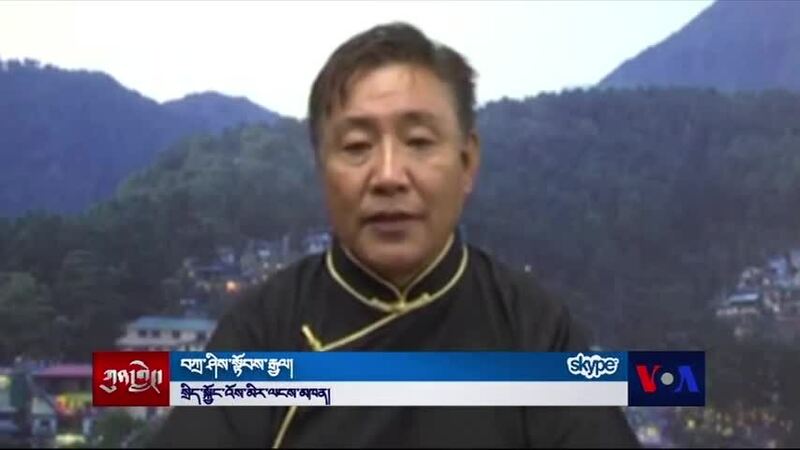 In the same interview Tsering also said, “If I become Sikyong then I think Tibet Support Groups should be made into non-Tibetan associations [bod pa ma yin paid drig zug]. If they pass a resolution to support the Middle Way and if we keep our identity as organization, and if the support is for a position decided by the Kashag and the parliament, who are elected by the people, then there won’t be discord/disagreement [gal.da chag kyi mey]. We see a number of contradictions in Tsering’s statements. 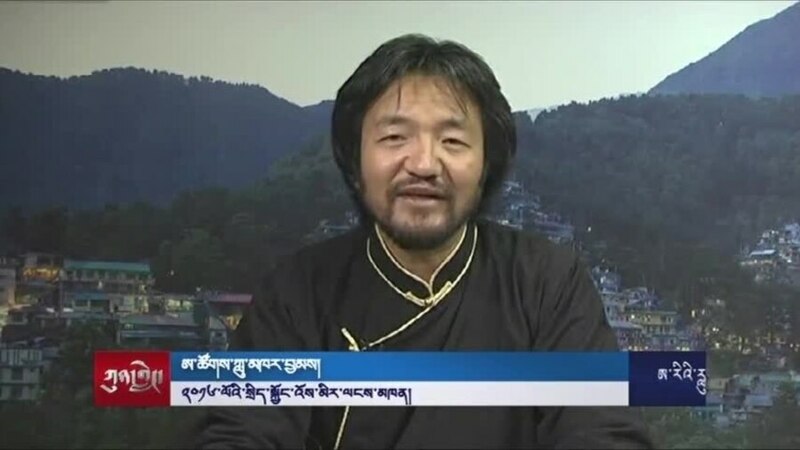 On the one hand, in the principle of dialogue and mutual benefits he is willing to talk with Chinese Government, who have not only occupied Tibet but vilified and criticized His Holiness in the strongest possible invectives; while on the other hand, he refuses even to say the name of a Sikyong candidate and vows never to take part in any public discussion with Lukar Jam, a fellow Tibetan from Amdo. Furthermore, Tsering’s plan to turn Tibet support groups (TSGs) into, what he calls, ‘non-Tibetan association’ is troubling because it may trample upon people’s basic freedom of speech and assemblyassociation. TSGs are NGOs and have the right to take any position on the issue of Rangzen and MWA or be entirely neutral on the issue. For the moment any Tibetan can join any Tibet support group anywhere that reflects his/her individual political views. If Tsering were to win the Sikyong election, would he ban Tibetans from joining any TSG to keep the groups ‘non-Tibetan’? Tashi Wangdu was born to a refugee family in Byllakupe, one of the largest Tibetan refugee settlements in south India. He finished his higher studies from Mysore University and from NYU. He is an adherent of the Middle Way Approach of the CTA. His campaign revolves around the acronym SEEN i.e. the Sustainability of the CTA; Education to sustain the struggle in resolving the issue of Tibet; [improving] Economic condition of the Tibetan community; and Negotiation to Resolve the issue of Tibet through dialogue. His election manifesto states that he supports His Holiness the Dalai Lama’s policy on resolution of Tibet issue through negotiation, intends to bring awareness of the Middle Way Approach to the Chinese leaders, and reestablish negotiation with Chinese government. However, Wangdu does not say how he proposes to do so. He has, as far we are aware, not made any in-depth explanation on this crucially important issue. 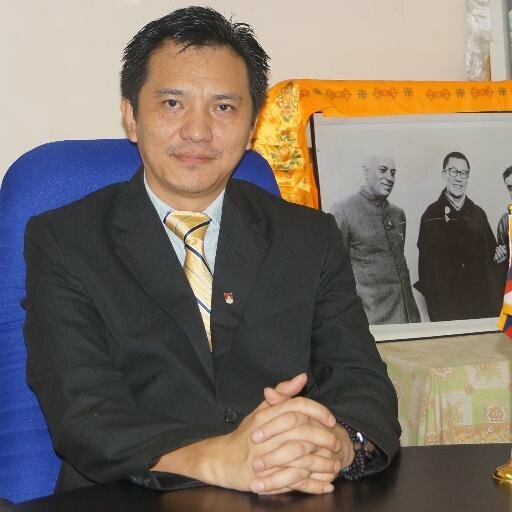 Instead, he has extensively spoken about sustainability of settlements and the creation of jobs for exile Tibetans. 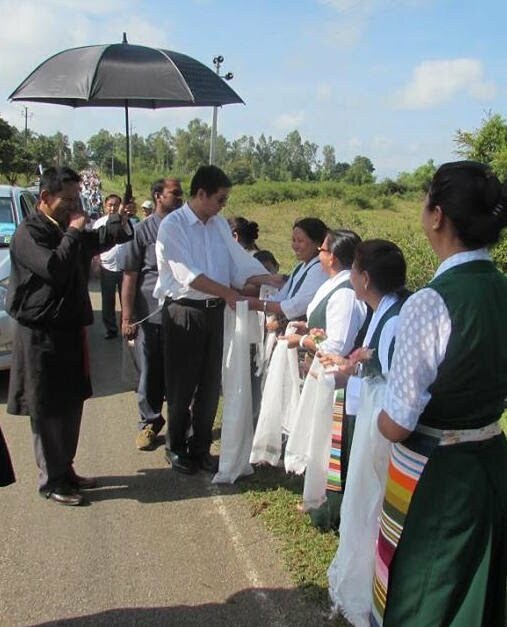 He does this perhaps on the strength of his current position as the head of Federation of Tibetan Cooperatives in India Ltd. Wangdu has a strong record working for the CTA in the settlements and seems to enjoy popular support in the settlements, which are an important voting bloc. He claims that he visited Tibet in 2003. Our own review of his talks leads us to believe that he still needs to elaborate on knowledge of, and his plans to address, the critical situation in Tibet. The foregoing are our opinions of on the five Sikyong candidates. We offer them in the hopes of furthering the Tibetan democratic process, and we recognize that any opinions are inherently subjective. We welcome all viewpoints – especially those different than ours – and encourage all our readers to send their articles or letters for publication. The three candidates were Lobsang Sangay, Tenzin N. Tethong, and Tashi Wangdi. Samdhong Rimpoche was democratically-elected as Kalon Tripa or chief executive of the CTA, but at the time His Holiness was still the ultimate political authority of the exile government. http://www.savetibet.org/chinese-intellectuals-message-on-the-25th-anniversary-of-nobel-peace-prize-to-the-dalai-lama/. China reiterated its rejection of the Middle Way Approach in a white paper published in April 2015: http://news.xinhuanet.com/english/china/2015-04/15/c_134152612.htm.